Lawyer and trade union activist Sudha Bhardwaj, revolutionary poet P Varavara Rao, civil rights activist and journalist Gautam Navlakha, and lawyers and activists Arun Ferreira and Vernon Gonsalves were arrested by Pune police on Tuesday. 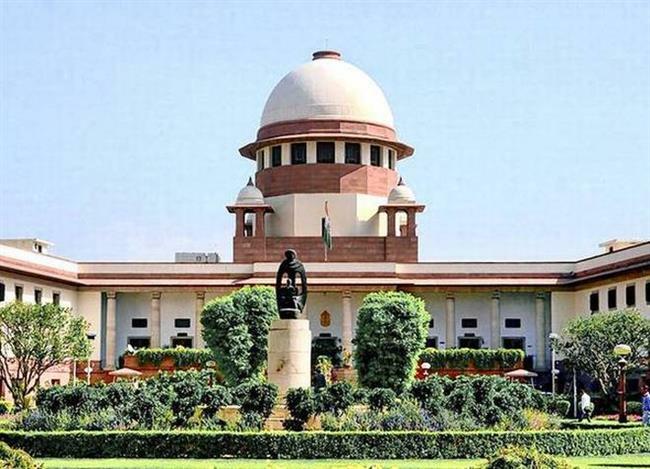 New Delhi: The Supreme Court (SC) on Wednesday stopped Pune police from taking custody of five activists who were arrested a day before for alleged Maoist links, and placed them under house arrest in their respective homes until the case is heard again on September 6. “Dissent is the safety valve of democracy, the pressure cooker will burst if you don’t allow the safety valves,” justice DY Chandrachud, a part of the bench with justice AM Khanwilkar, said. A three-judge SC bench headed by chief justice of India Dipak Misra also asked the Maharashtra government to file a response by September 5 to a petition by historian Romila Thapar and others that alleged the arrests were aimed at muzzling dissent. The SC bench questioned the rationale behind the arrest nine months after violence on January 1 left one person dead and four others injured in Bhima Koregaon, where hundreds of thousands of Dalits were celebrating the bicentennial of a war between the British and the Peshwas. “There are wider issues raised by them (petitioners). Concern raised is that you are quelling dissent. Democracy is not safe if you quell dissent and that is what they are worried about,” the court said. In near-simultaneous Pune police raids across five states on Tuesday, lawyer and trade union activist Sudha Bharadwaj, poet P Varavara Rao, activist Gautam Navlakha, and lawyers Arun Ferreira and Vernon Gonsalves were arrested and charged with criminal conspiracy, creating fear and enmity between groups, and under the Unlawful Activities (Prevention) Act. The arrests were part of an investigation into the Bhima Koregaon violence. avlakha’s transit remand from his house in Delhi to Pune was stayed by Delhi high court on Tuesday evening and he was put on house arrest, and following a late-night hearing, Bharadwaj’s transit warrant was also recalled by the local magistrate. Rao, Gonsalves and Ferreira had been arrested from Hyderabad, Mumbai and Thane respectively, and taken to Pune. Late on Wednesday evening, the Pune district court ordered them to be sent back to their residences where they will be kept under ‘house arrest’. “Arrangements will be made to send all the accused to their respective cities,” said assistant commissioner of police Shivaji Pawar. According to Pune Police, an event called Elgar Parishad on December 31, 2017 in Pune, where various activists and Dalit organisations came together, was responsible for stoking the violence the next day. In June, the police arrested activist Sudhir Dhawale, lawyer Surendra Gadling, activist Rona Wilson, researcher Mahesh Raut and retired professor Shoma Sen for alleged Maoist ties. A separate probe by Pune (rural) police in the January 1 violence has named two Hindu right wing leaders, Milind Ekbote and Shambhaji Bhide. The National Human Rights Commission served a notice to the Maharashtra government demanding a report on the arrests. It said the arrests were made in violation of the laid down procedure and so “amounted to human rights violation”. It asked for a factual report on the matter within four weeks. Union home ministry officials said the ministry has nothing to do with the arrests. “Law-and-order and police are state subjects,” said a home ministry spokesperson. A senior security official on the condition of anonymity said the Maharashtra police should have prepared its case better before acting against these individuals. “It seems that the state police acted in haste by going for arrests of these individuals. These suspects could have been called for questioning first. The option of arrest should have been exercised only if they had refused to cooperate with the probe. And I hope the state police has really solid piece of evidence against these individuals to prove the charge that they were involved in inciting violence,” said the central security official. In the Supreme Court, two additional solicitors general, Maninder Singh and Tushar Mehta, appeared for Maharashtra and questioned the locus standi of the petitioners. The petitioners were represented by senior advocate Abhishesk Manu Singhvi, who said the petition was filed in national interest. The FIR registered in connection with the Bhima Koregaon violence does not mention the activists who, Singhvi submitted, were not even present at the site where the incident took place. enior advocate Dushyant Dave, also appearing for the petitioners, said the arrests showed how the liberty of citizens has been jeorpardised. Senior advocate Rajeev Dhawan called the arrests random. “If this lady (Bharadwaj) gets arrested then I am the next,” Dhawan added. Even as the SC heard the petition, hearing into Navlakha’s petition against his arrest continued in the Delhi high court. After almost three hours of hearing arguments, the court was halfway through dictating its order when it was informed of the apex court’s decision. The matter will now be heard on Thursday. In the Pune court, the city police defended the arrests, producing three letters purportedly recovered during the investigation.The police told the court that the arrested activists were allegedly part of the “anti-fascist” front of the Maoists, were involved in recruiting students and young people, had links with separatists in Kashmir and the North-east and were intending to strike “high functionaries” in the government. The police also submitted a letter reportedly detailing a plot to assassinate the prime minister. The arrest of the five activists was condemned by public figures and opposition parties. Nationalist Congress Party (NCP) chief Sharad Pawar said the arrests were an attempt to divert the attention from the recent breakthrough in the killings of rationalists such as MM Kalburgi, Narendra Dabholkar, Govind Pansare and Gauri Lankesh. “They are activists. They are Leftists. Their ideology is Left. But I never heard they are associated with Naxalism. It is really unfortunate that the government thought of arresting them,” he said. “The people who have been arrested yesterday hold responsible position in the society. Therefore, it is incumbent on the government to put in the public space the reasons for their arrest. This multi-city arrest is a witch-hunt,” Congress spokesperson Manish Tewari said. The Bharatiya Janata Party (BJP) hit out at Congress chief Rahul Gandhi for supporting the activists. “Rahul Gandhi said he has no hate against the prime minister. He is now speaking in favour of those who are conspiring to eliminate the prime minister,” BJP spokesperson Shahnawaz Hussain said.